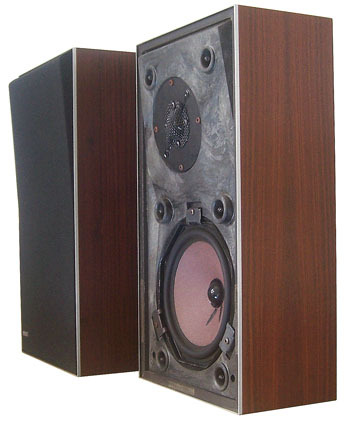 The smallest of the original Beovox Uniphase range, this model was suggested for use with models such as the Beomaster 901 and 1100, and the Beocenter 1500, 1600 and 1800. The drive units consisted of a 6½" woofer and a 1” dome tweeter. Text copyright © Beocentral. Unauthorised reproduction prohibited.